Google Glass on left, what Google Glass sees on right. 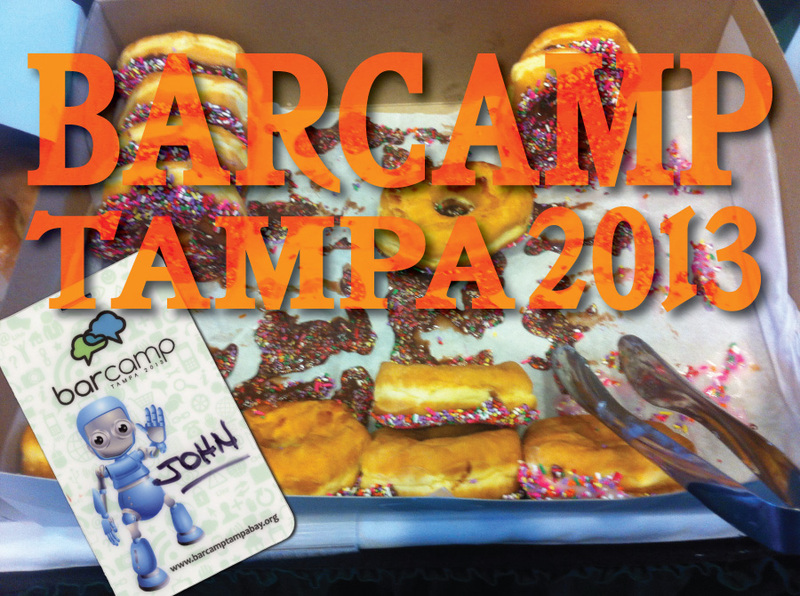 My introduction to Google Glass came at Tampa’s 2013 Barcamp at the University of South Florida last September. I sat in on a presentation by Glass Explorer Bruce Burke, one of those 8,000 or so chosen to live with the devices on a daily basis, and watched as he recovered from a failed classroom projector by tethering his Glass to his tablet so we could see what he saw. In the months since Google first announced their revolutionary technology, I’ve been part of the crowd that thought it was cute but lacked real application. No more. The question isn’t what’s it good for, it’s what can’t it do. Can you call up the next Mickey D’s while you’re motoring along? Yep. This past week, Google Glass has unleashed a well primed info pump touting style choices for Glass frames, a precursor to the retail launch that’s rumored to take place this Fall. Not all the talk was effusive. FastCo Design called timeout on the use of “iconic” in the same breath as what seem to be otherwise ordinary frame choices. Still, the frames came across even if the writing lesson came up short. Stand by. App development is well under way for the first purchasers wanting to adapt Glass to their particular niche. Surgeons? Sure. Fire and police? Of course. Also hobbyists, as in woodworkers. Service techs of all stripes. Brokers, reporters, and factory workers will also be seen sitting at their desks or at their stations, swiping at their temples and talking to themselves. It’s not if any longer. This entry was posted in events and tagged barcamp, google glass on January 29, 2014 by John Siebenthaler. 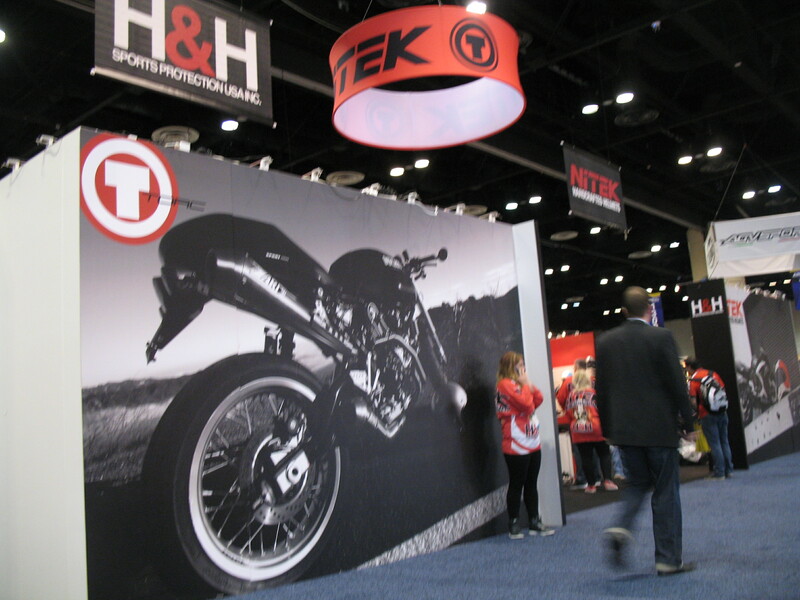 After years of discussion about an industry alternative to forever event producer Advanstar’s Dealernews Dealer Expo, the very first edition of the American International Motorcycle Expo opened its doors to a borrowed concept, high expectations, and fingers crossed by promoter Marketplace Events. Orlando’s mammoth Orange County Convention Center West Concourse welcomed a brand new powersports combined trade only and consumer show that managed to attract three OEMs – Yamaha, Suzuki and Erik Buell – in addition to several scooter brands and an interesting mix of biker related goods and services. 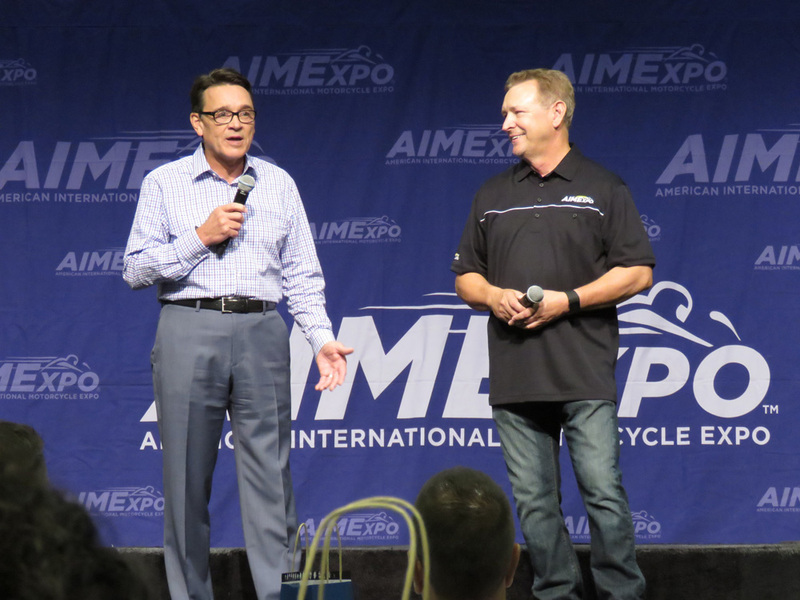 Against the backdrop of a still sluggish economy and an industry devastated by the recession that continues to be pummeled by shifting consumer interests, AIMExpo stretched out over five days, making for an endurance event for exhibitors and a mid-week challenge for attending dealers. What rolled out over those five days will go a long way towards determining the future of domestic powersports business marketing events. 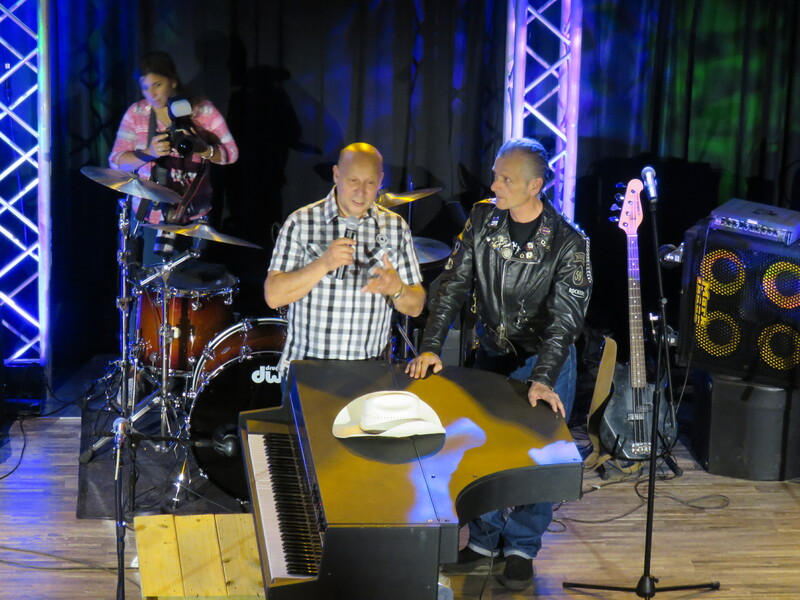 This entry was posted in events, powersports and tagged AIMExpo, orlando convention center, powersports aftermarket on October 21, 2013 by John Siebenthaler. While it’s been a few years since I last attended, YouTube reporting now making its way online supports the notion that Advanstar threw a party and nobody came. At least not in numbers unseen since the heyday of the mid 2000s. Next year they’ll move to a (much more sensible, and perhaps fatally too long in coming) Fall event, a perfect time to be in the Midwest. 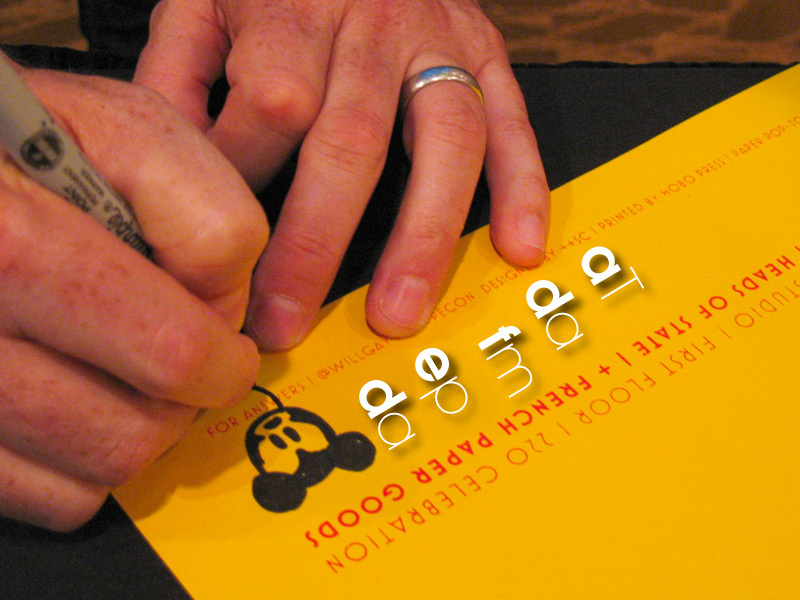 All this follows a series of course corrections that can’t be described as anything other than chaotic. 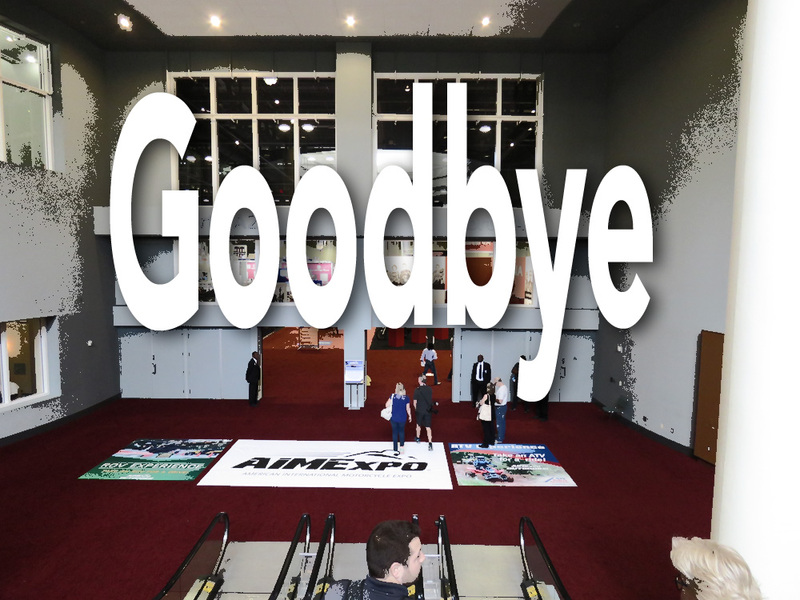 Adding the IMS public event and a crowd pleaser at that to coincide with the trade only show in the convention center should have produced better numbers but it didn’t. What it did do was lead to small embarassments as many vendors appeared confused as to the difference between trade only, public, and yes dealer price lists. Somewhere, Homer Simpson’s LOLing. Industry watchdog Joel Martin raised his own penalty flag as one of the first to comment publicly on the failure to deliver the dealer head count that is the lifeblood of a trade only event. What happens next remains to be seen. The overall trend line for trade shows in general continues to head in the wrong direction. As newly added events like AIME elbow their way onto the scene, Advanstars options are increasingly limited but that doesn’t mean they’re dead in the water. What it does mean is that the powersports industry cannot continue to support the current level of trade only activity at the present level. While hope these days revolves around the private-public EICMA and Intermot models, it’s possible the problems run much deeper than simply throwing open the doors to retail. 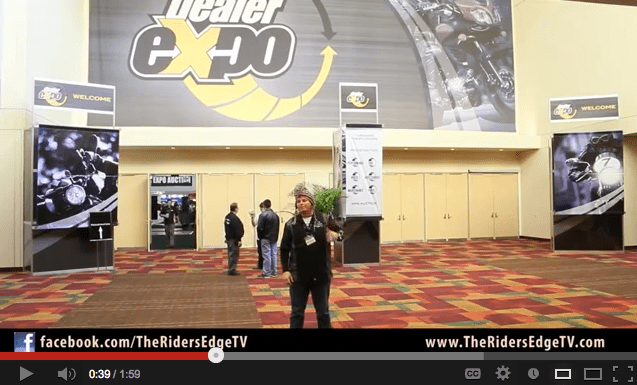 This entry was posted in events, powersports and tagged advanstar, Dealer Expo, indianapolis, trade show on February 21, 2013 by John Siebenthaler.